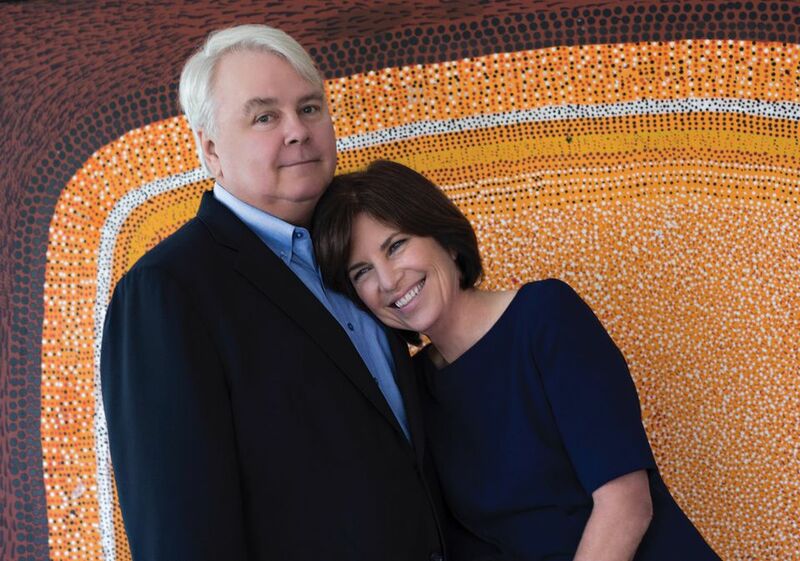 The Miami-based couple has acquired more than 2,000 works since 1978. “We started with prints, then photo-based work starting in the 1990s, then conceptual work in the early 2000s,” Scholl says, adding that they spent the past decade building an Aboriginal Australian art collection, but have now shifted their focus to post-war and contemporary drawings. After several donations, including to Miami’s Frost Museum at the Florida International University (Scholl’s alma mater) and the Metropolitan Museum in New York, their private collection now hovers at around 1,000 objects. In March, Scholl was named the chief executive of the ArtCenter/South Florida. His latest documentary project, co-directed with Kareem Tabsch and scheduled to debut on 21 December, focuses on two photographers who captured the disappearing South Beach Jewish population during the 1970s. A drawing by Ed Clark. He is an artist whose drawings have as much energy as his paintings. Through commissioning. We have commissioned more than 100 works and are now working on a show of commissioned drawings by emerging artists. It is probably a photo entitled A Bag of Air by Tacita Dean, not because of its monetary value but because it is Debra’s favourite piece. If money was no object, what would be your dream purchase? In my opinion, money is no object—it doesn’t define a collection. The willingness to be intellectually curious and immerse yourself in a specific part of the art world allows anyone to be a collector. Money is vastly overrated. Oh my, there are so many times I had opportunities to acquire things early and just didn’t quite understand what the artist was doing at that moment. But the joy of collecting comes from those moments when I somehow saw what makes an artist special, a little bit ahead of the rest of the art world. Those are the works I remember. Look at 10,000 objects before you acquire the first one. Tacita Dean’s A Bag of Air, for the reason mentioned previously. Which of all the works in your collection requires the most maintenance? Video art is very labour intensive—try searching for something to play an early 1990s LaserDisc. We solved this problem by donating virtually all of our video works to the Pérez Art Museum Miami. The curator Douglas Fogle asked us to tear out our fireplace so he could hang a large work there. He said: “It’s Miami, you don’t need a fireplace.” So we tore it out! Clyfford Still, since I am completing a feature-length documentary about him and I’ve been listening obsessively to 30 hours of audio tape that he left behind. What’s the best collecting advice you can give? Look at 10,000 objects before you acquire the first one. It isn’t as hard as it sounds, given the plethora of art fairs, online options and auction previews. Your taste will evolve so rapidly in the early part of your collecting journey.